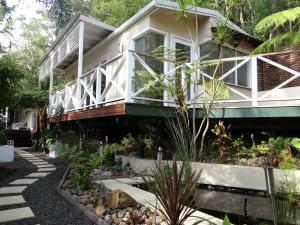 عندما تزور صن شاين كوست, ستشعر أنك في بيتك في Coverdales Bed and Breakfast at Eumundi الذي يقدم لك إقامة متميزة و خدمات عظيمة. يمكن من هنا للضيوف الاستمتاع بسهولة الوصول إلى كل ما تقدمه هذه المدينة النابضة بالحياة. إن سهولة الوصول من الفندق إلى المعالم السياحية الشهيرة الكثيرة في المدينة كمثل Artisans Gallery, Eumundi Market, ‪Generator Gallery‬ هو استثنائي بحد ذاته. استمتع بالخدمات الراقية والضيافة التي لا مثيل لها بهذا الفندق في صن شاين كوست. يمكن لضيوف الفندق الاستمتاع بالميزات التالية على أرض الفندق: واي فاي مجاني في جميع الغرف, مرافق مخصصة لذوي الاحتياجات الخاصة, تسجيل وصول/خروج سريع, تخزين الأمتعة, واي فاي في المناطق العامة . بالإضافة لهذا,تتضمن كل غرف الضيوف مجموعة واسعة من وسائل الراحة . بعض الغرف توفر حتى تلفزيون بشاشة مسطحة, اتصال لاسلكي بشبكة الإنترنت (مجاني), غرف لغير المدخنين, مكيف هواء, تدفئة لإرضاء أكثر الضيوف تطلباً. يقدم الفندق مجموعة رائعة من الخدمات كمثل حديقة، لجعل إقامتك تجربة لا تنسى. يشكل Coverdales Bed and Breakfast at Eumundi بخدماته الراقية وموقعه الممتاز، قاعدة مثالية للاستمتاع بإقامتك في صن شاين كوست. Lovely BnB, very reasonable for such comfort. Beds amazing, lovely people, great location, A real find for the area. Very central to tourist locations. 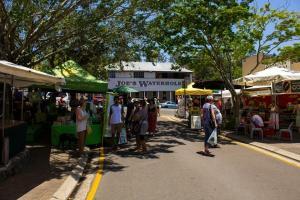 The Eumundi Markets (Weds & Friday a short drive away. A peaceful retreat to return to each day. Very nice. Would do it again in an instant. 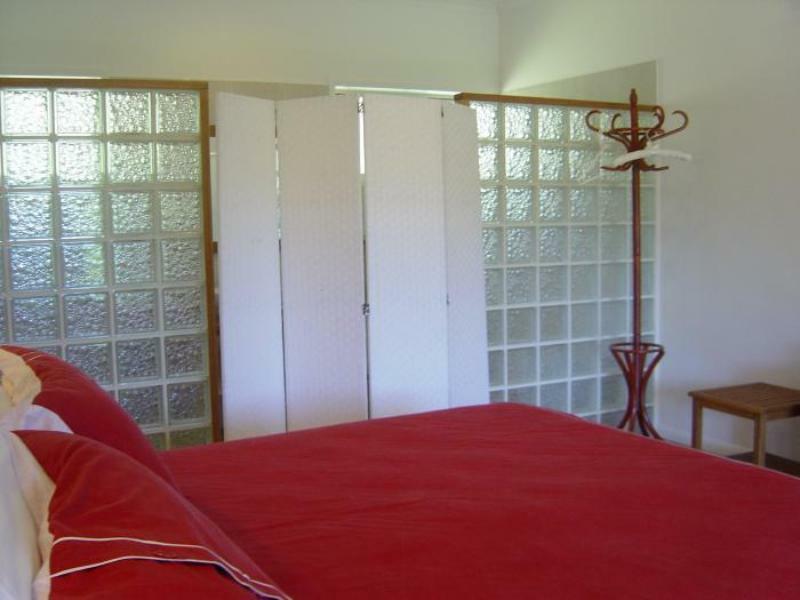 Close to Eumundi Markets, Private room with own ensuite, Quiet countryside aspect. A purpose-built Bed and Breakfast with private motel style rooms. The Sheridan linen adds a nice touch. We did not wish to drive back to Eumundi to dine (although it is just a short distance) so the Hosts (Bob and Lucienne) were happy to provide us with crockery and cutlery so that we could have a simple meal with the food we had purchased at the Eumundi Markets. Unusual layout with toilet sink and shower separated from bedroom by opaque glass blocks and an open entry. No way to darken the room completely due to windows in shower/sink/toilet area. Easy to sleep...until the sun comes up. Very pleasant stay. The room was lovely, bed very comfortable and a nice big bathroom. We were especially happy with the hosts, Bob and Lucienne, who were very friendly and helpful. We also enjoyed meeting their dog and gorgeous little kittens (one of whom we had a lot of fun playing with!). Our hosts were very welcoming and provided a hearty home-cooked breakfast each morning. 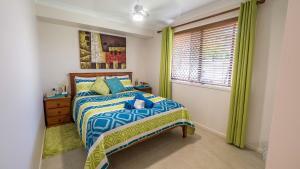 The B&B is located a few kilometres outside the town of Eumundi in an idyllic country environment.